If you haven’t stopped by OCD in the Family, I would highly recommend it! After the excitement settled, I thought about sites that have served as an inspiration to me this year. There are four that I am especially grateful for that allowed me to be temporarily affiliated with their work as a guest writer. The Outlaw Mama– Christie is bright and witty and has a way with words that keeps me wanting more. I believe that she was the first person that let me write a guest post about my worst job experience. I am grateful that she allowed me that opportunity and I continue to learn so much from her as a writer. Life With The Frog-Kathy is a mom that has experienced joy despite living through great loss. The courage and grace that she shows is amazing. I was lucky enough to have one of my stories be part of a grief series that she did. Professional and kind are words that describe that experience with her! The Mom of the Year-Meredith gave me a great compliment when I was honored to be included as one of her Mom of the Year writers. I loved writing that piece and Meredith’s take on parenting has kept me visiting! Everyone should check out Meredith’s work. She makes me smile! Finding Ninee-Kristi has a way of taking challenges and turning them into inspirational pieces. She is generous with her words and time, and every time that I read her writing I think of ways that I can do better. I was lucky to be included in her Our Land series. These four writers have made an impression on me as a writer and as a parent. 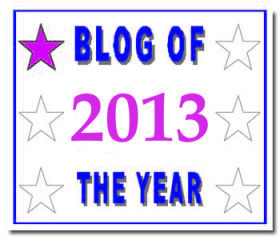 I now honor them with the Blog of the Year 2013 Award! Now, go check them out and see what I mean! 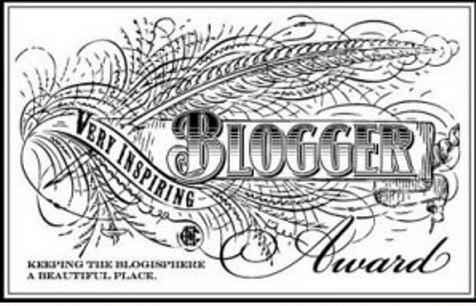 Wow, so very well deserved and thank you so so much for including me as a recipient! I really appreciate it and am completely honored! Your Our Land rocked, by the way. You are so sweet! That was my pleasure :). I love your work and this was just one way to tell you!